The Warm heart of Africa! Get this unique carved soapstone heart with African Theme. This soapstone item was hand carved and decorated in the Kisii Valley in Kenya. Your purchase helps to support the local craftsmen and their families. All soapstone items are unique hand-carved items and irregularity is to be celebrated! All soapstone products are for decorative purposes only. Keep out of reach of small children. Actual colors of purchased item may appear somewhat different due to the the limitations of computer screens and digital imaging. Vibrant colors will fade with prolonged exposure to sunlight. description: The Warm heart of Africa! 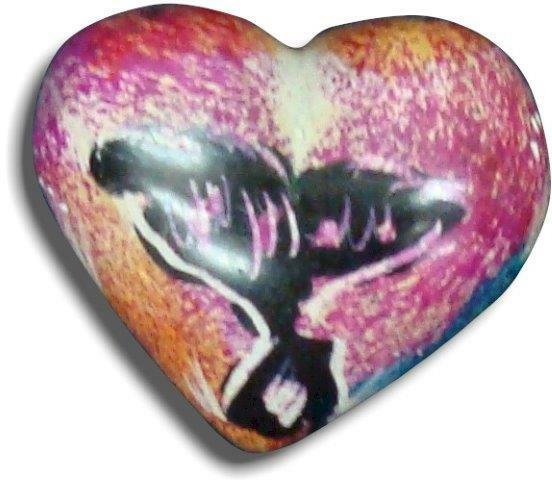 Get this unique carved soapstone heart with African Theme.